George Wesley Bellows (American, 1882–1925), The Sawdust Trail, 1916. Oil on canvas, 63 x 45 1/8 in. Milwaukee Art Museum, Layton Art Collection, Purchase L1964.7. Photo credit John R. Glembin. In honor of Spring Break, and spring travelers everywhere, let’s send a shout-out to some of our painted friends who have also hit the road lately. The last time I checked, our artworks were not boozing it up on the beach…but then again, I’m a firm believer that works of art have distinct personalities, so perhaps they do get a little crazy when they’re away from home. Those of you who attended the Museum’s fall 2011 exhibition Impressionism: Masterworks on Paper exhibition saw fantastic and rare works of art borrowed from our friends and partners at the Albertina in Vienna (where the exhibition is now on view); as well as the Harvard Art Museums and the Art Institute of Chicago, among many others. In case you’re traveling yourselves over the next few months, you might run into some of your Milwaukee hometown artistic pals in the following shows. Henry Ossawa Tanner, Sunlight, Tangiers, 1924. Henry Ossawa Tanner (American, 1859–1937), Sunlight, Tangiers, ca. 1910. Oil on cardboard panel; 10 3/4 x 13 3/4 in. Milwaukee Art Museum, Gift of Mr. Walter I. Frank, M1924.1. Photo by John R. Glembin. 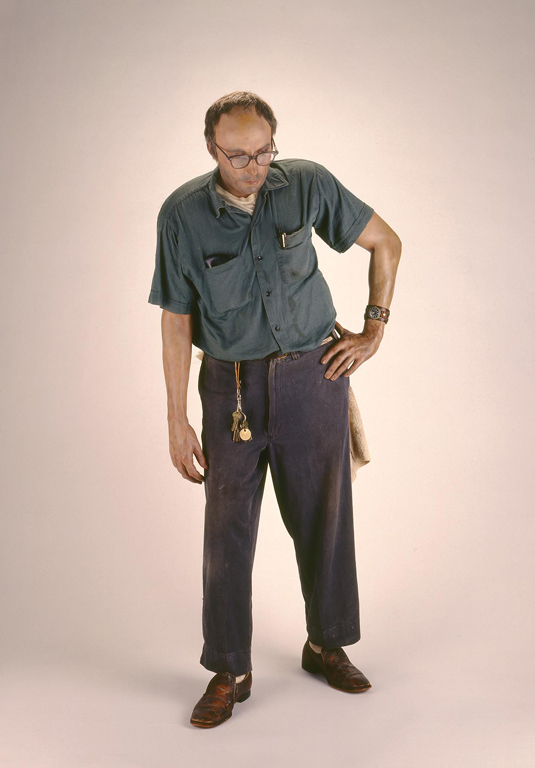 Duane Hanson (American, 1925-1996), Janitor, 1973. Polyester, fiberglass, and mixed media; 65 1/2 x 28 x 22 in. Milwaukee Art Museum, Gift of Friends of Art M1973.91. Photo credit John Nienhuis. © Estate of Duane Hanson/Licensed by VAGA, New York, NY. You know and love—and probably have been fooled by—the Museum’s super-realistic sculpture of a janitor by Duane Hanson. If you’re wondering why he isn’t leaning in his corner at the Milwaukee Art Museum lately, it’s because he’s now jolting visitors to the Lifelike exhibition at the Walker Art Center in Minneapolis. Lifelike is a thematic show that questions what’s real and what isn’t. If you’re in Minneapolis before May 27th, you can wave at Janitor there and tell him Milwaukee misses him. Robert Henri, Blond Bridget Lavelle, 1928. Robert Henri (American, 1865–1929), Blond Bridget Lavelle, 1928. Oil on canvas, 27 1/4 x 19 1/4 in. Milwaukee Art Museum, Centennial Gift of Mrs. Donald B. Abert, M1987.28. Photo by John R. Glembin. For someone who doesn’t look old enough to travel without a chaperone, Bridget Lavelle has been getting around! 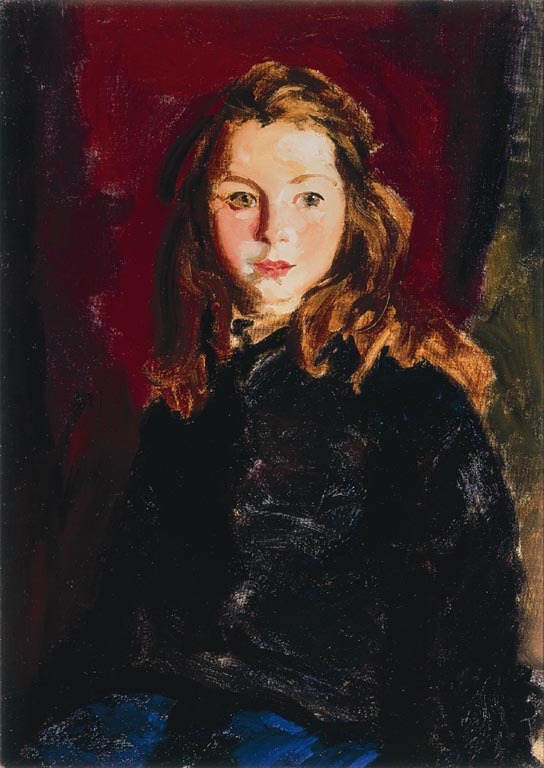 She’s been part of From New York to Corrymore: Robert Henri and Ireland, a show that explores American artist Robert Henri’s frequent trips to Ireland, and the inspiration he found there. Little Bridget was at the Mint Museum in Charlotte, North Carolina all last summer, followed the show to Santa Fe, New Mexico, at the Georgia O’Keeffe Museum last fall, and now she has been hanging out in Syracuse, New York, at the Everson Museum of Art, where the exhibition continues until May 12. 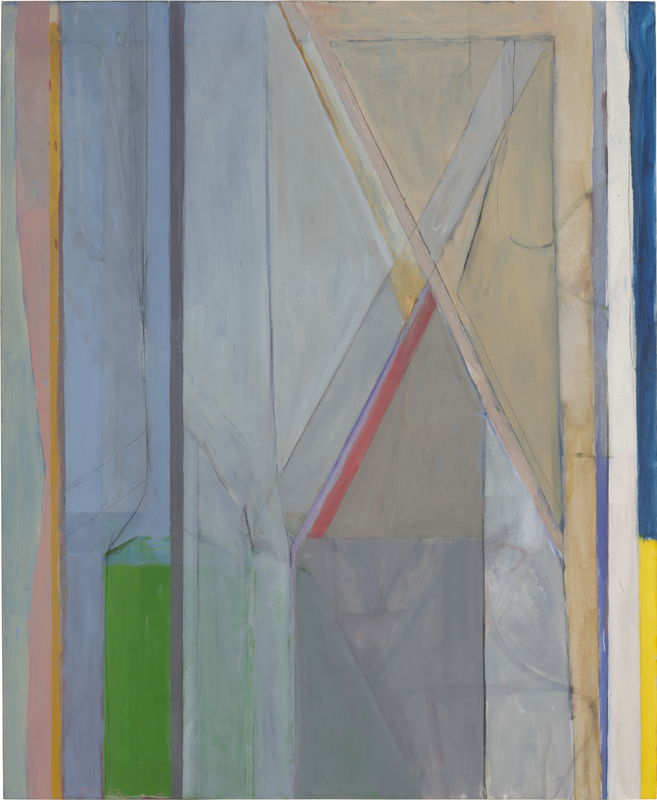 Richard Diebenkorn, Ocean Park #16, 1968. This fantastically important abstract painting has really racked up the stickers on its crate. As part of Richard Diebenkorn: The Ocean Park Series, an exhibition that has brought together this distinctive series within the artist’s career for the first time, Milwaukee’s painting has strutted its stuff at the Museum of Modern Art, Fort Worth, Texas, and is now enjoying the sunshine at the Orange County Museum of Art in Newport Beach, California, until May 27th (See? College students aren’t the only one who need a little sun and sand during winter!) 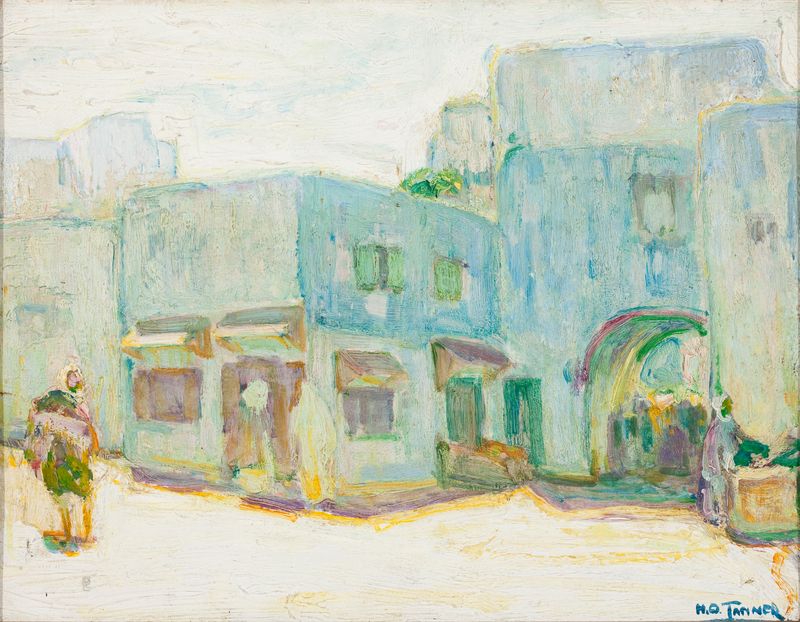 You can also catch the exhibition this summer at the Corcoran Gallery of Art in Washington, DC from July 3-September 23, 2012. George Bellows, Sawdust Trail, 1916. And speaking of Washington, DC, if you happen to be visiting there between June 10 and October 8th, and drop into the National Gallery of Art (which is free! ), you will run into another Milwaukee artwork, the great Sawdust Trail by George Bellows. 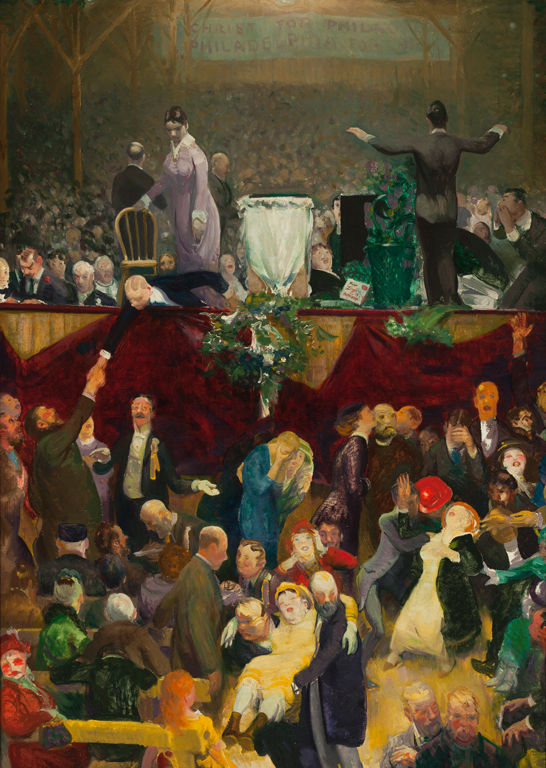 Milwaukee’s spectacular image of evangelist Billy Sunday and his revival meeting is part of the NGA’s major retrospective on George Bellows that will be debuting there this summer and then travel to the Metropolitan Museum in New York this fall. I’ll miss these paintings while they’re gone—as I know you do, too—but the Museum is thrilled to be able to share our works with visitors in other places. And we’re always happy to see them when they come home. This entry was posted in Art, Curatorial, Exhibitions and tagged American Art, Duane Hanson, ex, Exhibitions, George Bellows, Henry Ossawa Tanner, Richard Diebenkorn, Robert Henri. Bookmark the permalink. 1 Response to Where in the World is….? Great blog! How about, “who are the visitors?” for those of us who would be interested in the opposite aspect. Notable guests…nice work Wills!! !